Are you looking for a venue to host your special event? Let us do the work and you take the credit. Whether you are hosting an intimate business meeting, celebrating a birthday or commemorating an anniversary, Whiskey Creek Golf Club offers the perfect setting for any occasion. Our 5,000 sq ft. clubhouse offers the ideal venue for you to celebrate your special event. With dining room seating for 80, the upstairs mezzanine can accommodate an additional 40 guests. If an outdoor setting is what you seek, the clubhouse offers a covered wooded porch with breathtaking views of our golf course. 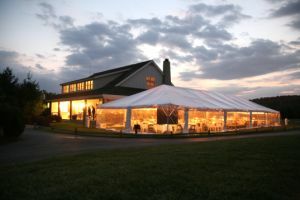 The lawn adjacent to the clubhouse is a perfect location for an outdoor tent decorated to your liking. Best of all, our professionally trained staff and on site event planner will not only meet your expectations, but exceed them. We welcome the opportunity of ensuring that your special event will leave memories which last a lifetime. View our Catering Menu. 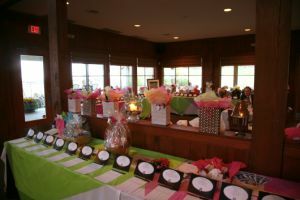 For more information on planning a special event at Whiskey Creek please complete the below form. If you're planning an outing, please visit the Outing Details page.